We love painted edges on invitation stationery. It's such an elegant way to add a subtle pop of color. 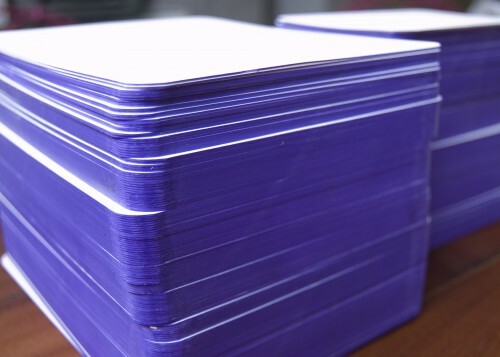 Here is a stack of invitations and response cards with lilac painted edges. It is almost a shame to have to separate the the stacks to mail out.